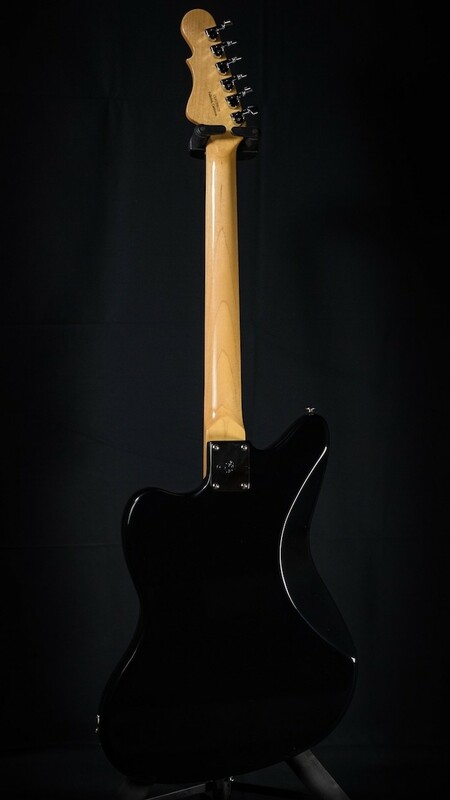 G&L USA Doheny in Jet Black with a bound-black Maple Fingerboard and Block Inlays. 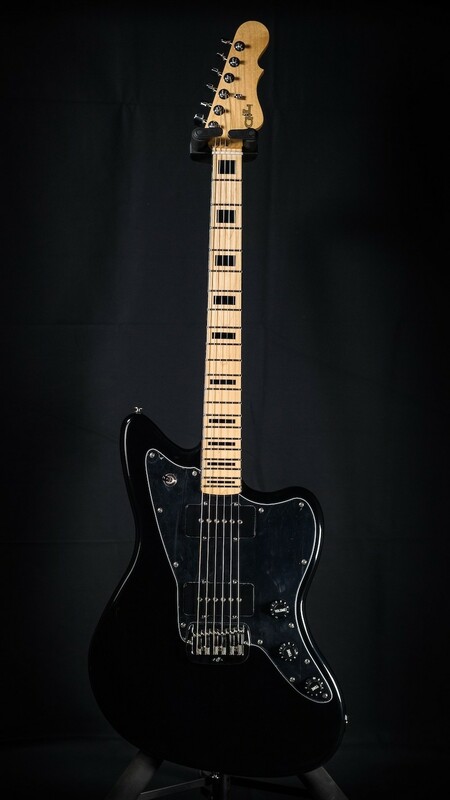 Featuring a Saddle Lock bridge, Vintage Tint Gloss neck, 3-Ply Black Pickguard, Alder body, Modern Classic neck with 9.5" radius, Hard Case, COA and more! The Doheny is G&L's newest offering and this guitar has "it"! Wonderful playing and sounding instrument with a cool retro vibe. Weight is 8 lbs. 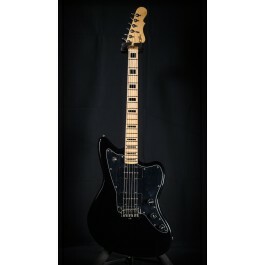 The Axe Palace is an authorized G&L dealer and we specialize in their USA Custom Shop guitars. 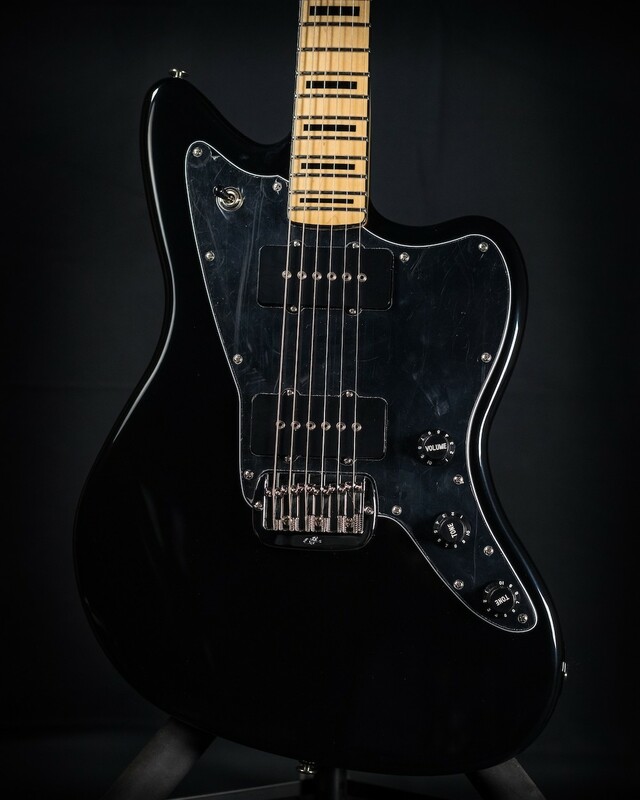 We think you will absolutely love this guitar! It will come with pro setup tailored to your string gauge/tuning preferences, as well as Certificate of Authenticity and hard case. NECK PROFILE: Modern Classic - 1 11/16 Nut Width, 9.5" Radius, .820" depth at first fret, .870" at 12th fret.